Join Lois Landis Miller for a directed, 24-hour silent retreat. The retreat will provide a contemplative atmosphere with time for prayer, Liturgy and a private meeting with a spiritual director. This retreat is spent in silence and prayer. Lois Landis Miller is a spiritual director. 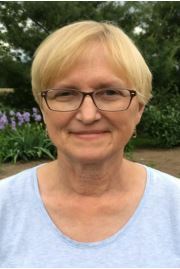 She received her training through Kairos School of Spiritual Formation at the Jesuit Center for Spiritual Growth, Wernersville, Pa. Lois has a B.S. in Elementary Education. She is married, the mother of three children and grandmother to two grandchildren. Currently, Lois enjoys volunteering with NODA (No One Dies Alone) and serving as a chaplain at Evangelical Community Hospital in Lewisburg. She is also involved in pastoral care and prayer ministries in her Church, along guiding contemplative retreats as a spiritual director. Her hobbies include bird-watching, photography, and gardening. Most of all, she delights in walking with others on their spiritual journeys.